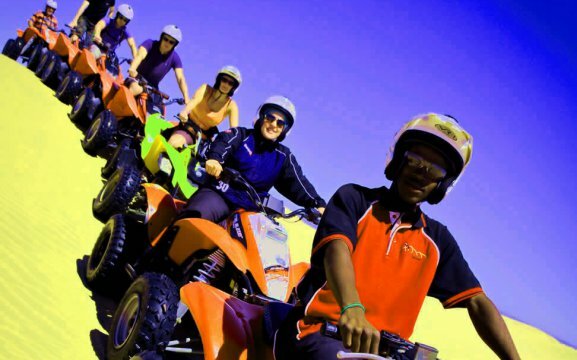 1 hour quad ride N$450.00 per person. 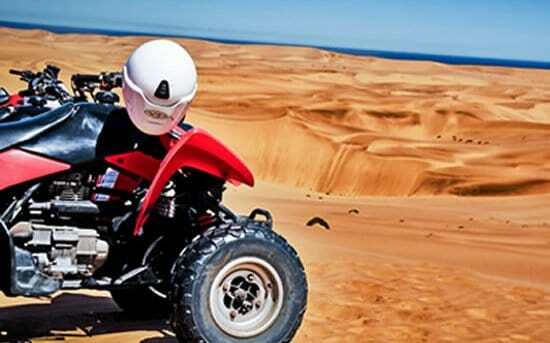 1.5 hour quad ride N$550.00 per person. 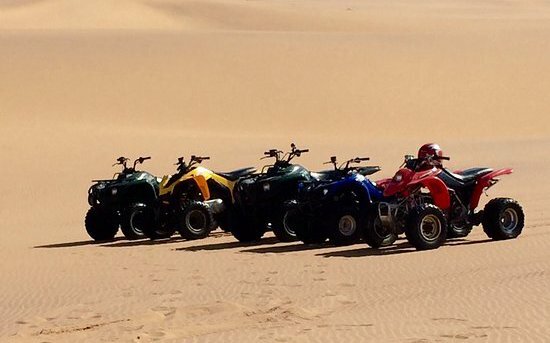 2 hour quad ride N$650.00 per person. 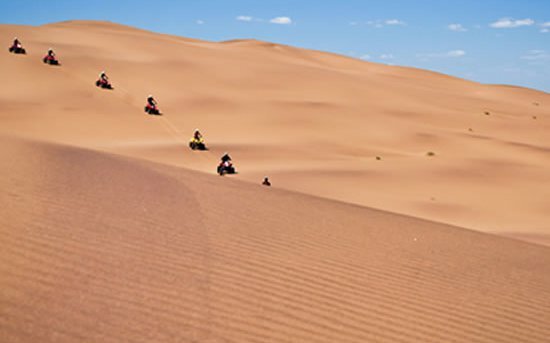 Daredevil Adventures is a tour operator company that specialises in quad biking in the Namib dunes, offering our clients the ultimate experience. 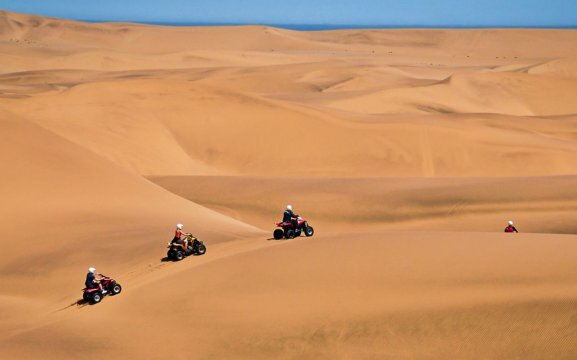 We are situated opposite Long Beach between Swakopmund and Walvis Bay and we do free transfers to and from Daredevil Adventures. Drinks and snacks available from our kiosk and relax on our sundeck. 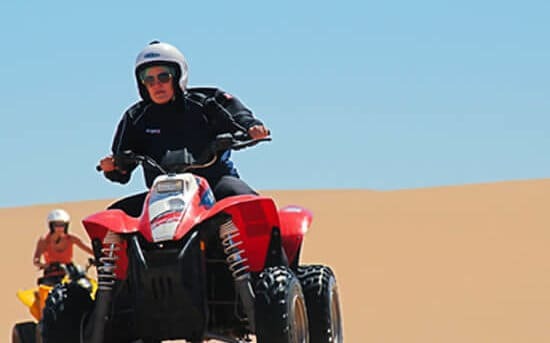 We offer different routes and types of tours like, sun-downers (champagne and snacks optional), breakfast runs, dune 7 tour (5 hours), 1 hour to 3 hour tours, we also do lay down sand boarding and book any other activities free of charge. 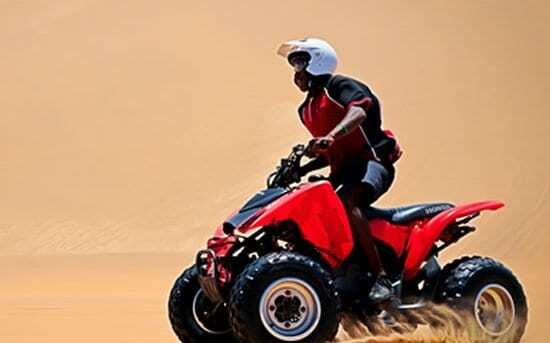 Breakfast Runs: 3 hour trip including a cold breakfast pack N$850.00 (minimum 4 adults). 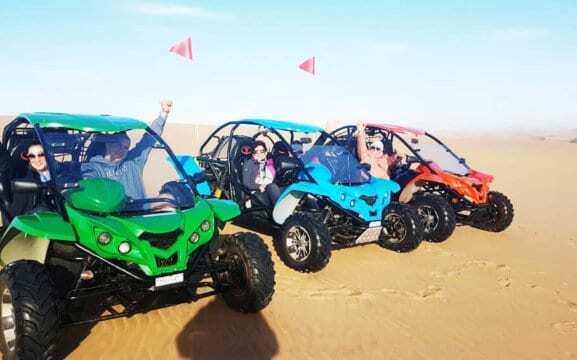 Dune Buggy Tours: from 1 hour to 2 hour tours at N$800.00 per person to N$1200.00. Eco friendly. 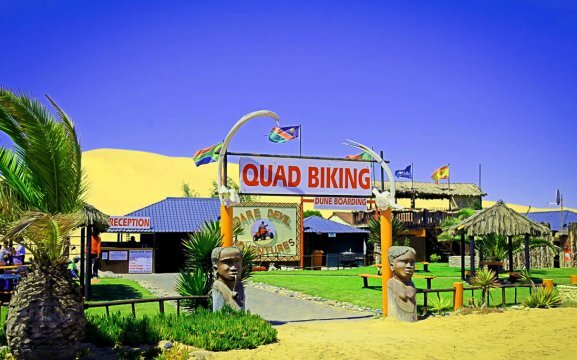 Sundowner Quad Ride: 1 hour ride & 30 min sundowner at N$600.00 p/p. Minimum 4 adults. 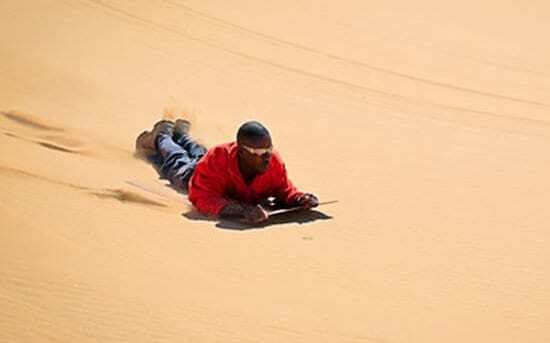 Combos: 1 hour lie down sand boarding & 1 hour Quad ride. N$650.00 p/p. All gear supplied. 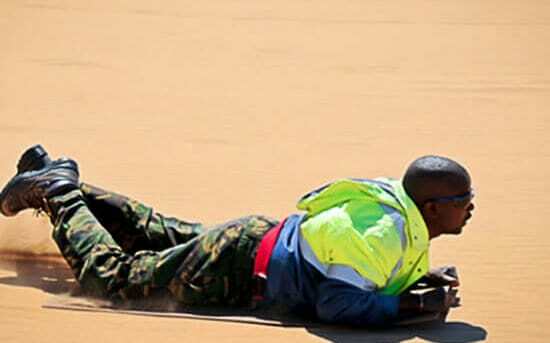 Kiddies track – safe & supervised especially designed track for small kids. 15 min. N$200.00 per kid. Max of 2 kids on the track. 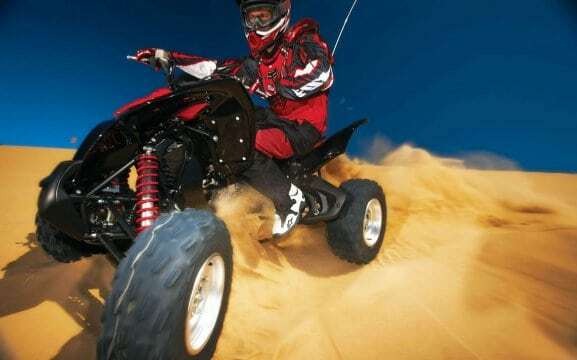 Fully Automatic, Semi-Auto & Manual Quad bikes available. Children under 18 years to be accompanied by an adult & indemnity signed. Children under 6 years no charge if being lifted by an adult. Children from 7-16 years that get lifted by an adult pay half price. Sunscreen, camera, closed shoes and a warm jacket.